As much as I love cooking during the holidays, I love decorating even more. 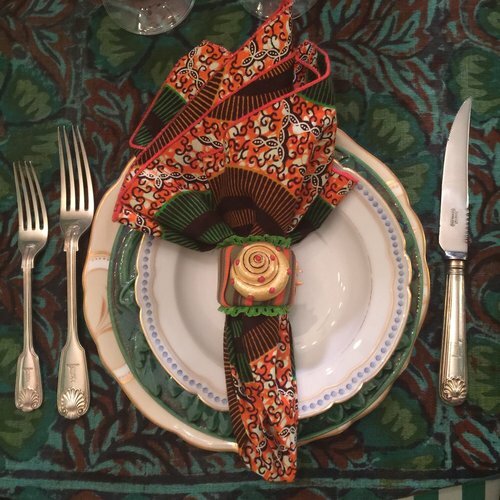 Social media channels have been flooded with so many ideas, have you checked out the hashtag #Tablescape lately? Prepare yourself for a visual feast. 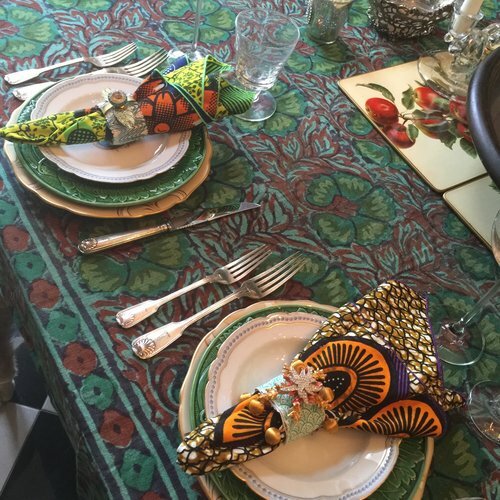 The table is the perfect setting for embellishment. A table shouldn’t be precious, it should be welcoming and created in fun. With an all-hands-on-deck feast approaching, make time to set a memorable table creating togetherness in the process. 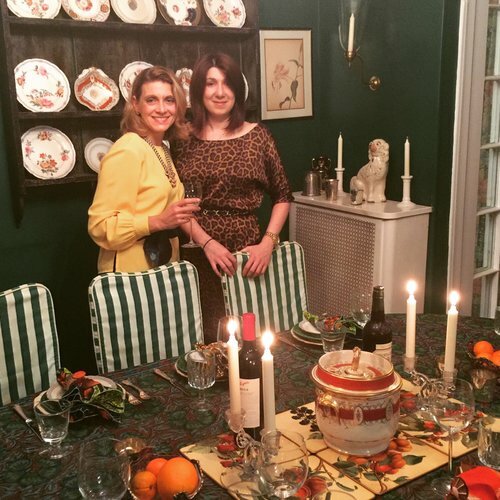 So scrolling the hashtag got me thinking about our holiday table, how we hadn’t used the “good china” the last few holidays we spent at my mother-in-law’s. 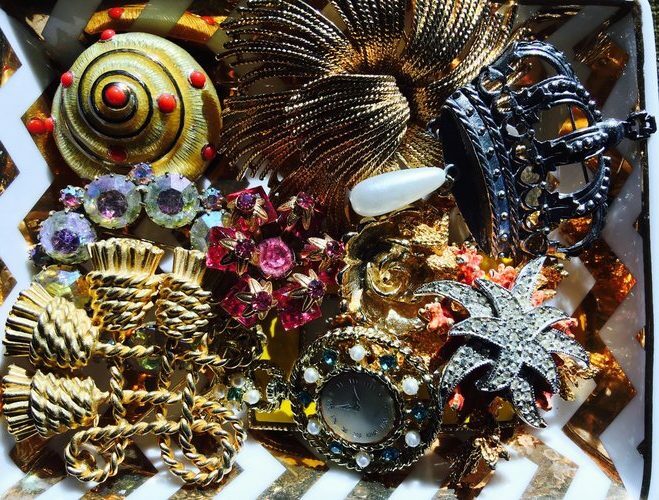 So when we visited Mary Phipps, aka Gaga, on the East End recently, I went on a hunt in the recesses of her cabinets and found some rare and fantastic pieces of all different patterns. 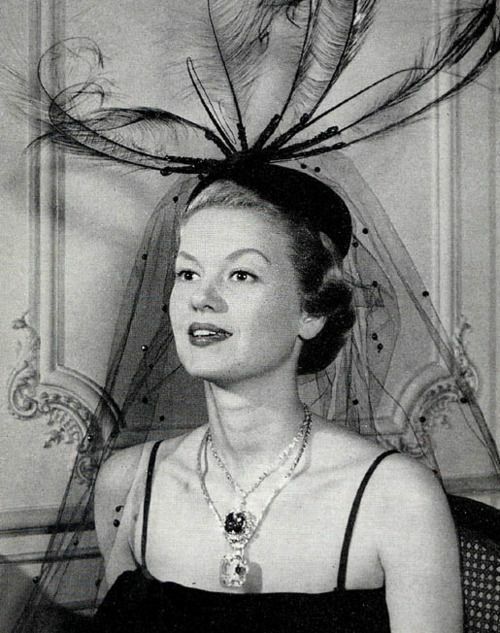 Mary, now widowed and 92, had a modeling career in NYC in it’s most glamorous heyday. Her home is a treasure trove of things vintage. 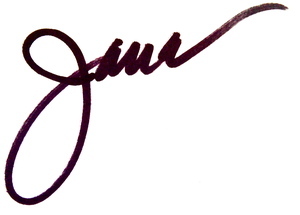 She has an exquisite eye for design, and has acquired many fine things. However, she was never into “fine jewelry” per se. (She did model the Hope Diamond once, reluctantly, because she said it was supposed to bring bad luck). 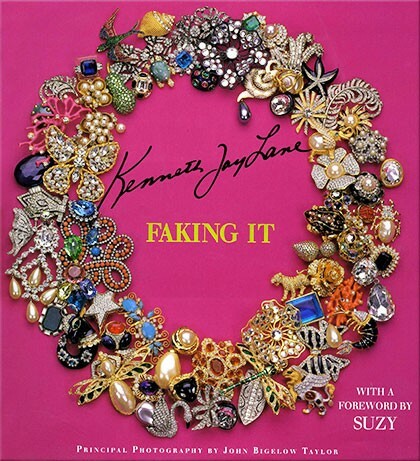 She preferred, instead, bold costume jewelry and had the inside track with friend Kenny Lane aka Kenneth Jay Lane. She’s thrilled when I pile on her jewelry for an evening out since she doesn’t socialize anymore. Unable to get around, she’s happiest recounting stories about her glamorous life with her dashing husband, prolific writer Tommy Phipps, hobnobbing with the likes of Truman Capote, David Niven, and the Duke and Duchess of Windsor. Funny thing, my husband Lang is encyclopedic about furs from gathering the ladies’ coats when the family hosted cocktail parties. 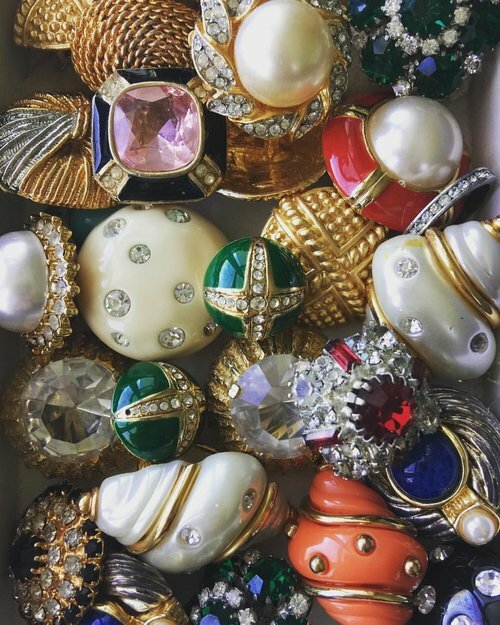 Mary’s costume jewelry collection is a jackpot for a vintage lover like me. 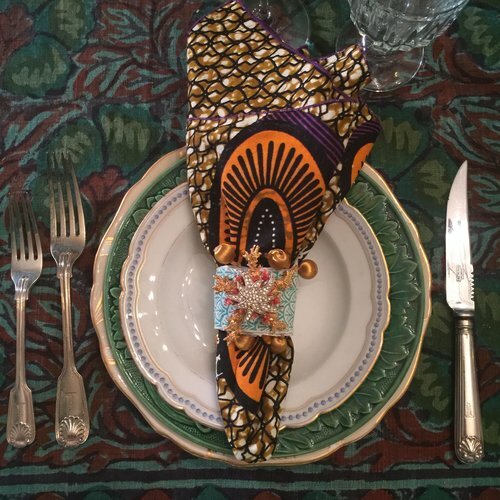 What I love about this idea is that you can pin the brooch on the napkin ring for the evening then return it to it’s jewelry box to enjoy, it’s upcycled and convertible! Instagram doesn’t lie #TheBroochIsBack in modern embellishment. 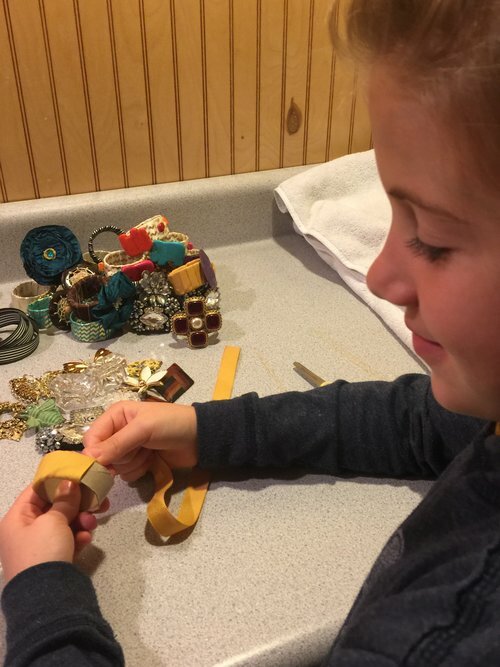 The day after my video went live, I got “tagged” by my friend Jessica that her 8 year old daughter Charlotte watched it and was so inspired that she created her own Jeweled Napkin Ring Collection. I was so impressed I shared her story on SmartStuff Social Station Head on over to see the role creativity plays in the Mauceri-Gabor household. Charlotte is taking orders for these on at Fairy Tale Inc on Etsy! 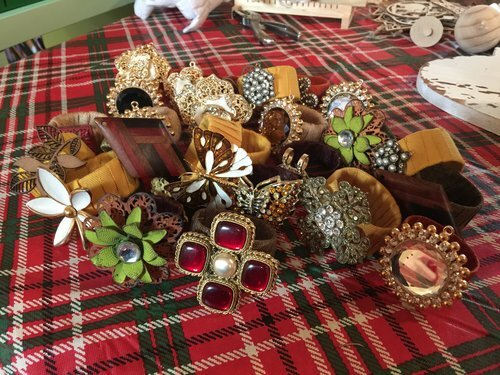 Here are some of the napkin rings we made at Mary’s house, wrapping ribbons, trimmings and topping off with earrings, buttons and brooches. 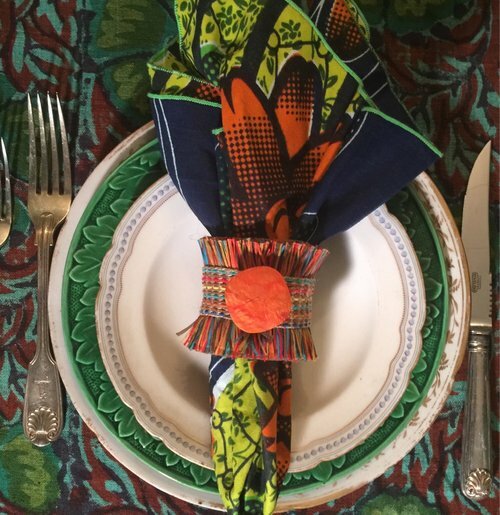 I love the patternplay against these napkins, aren’t they deeevine? 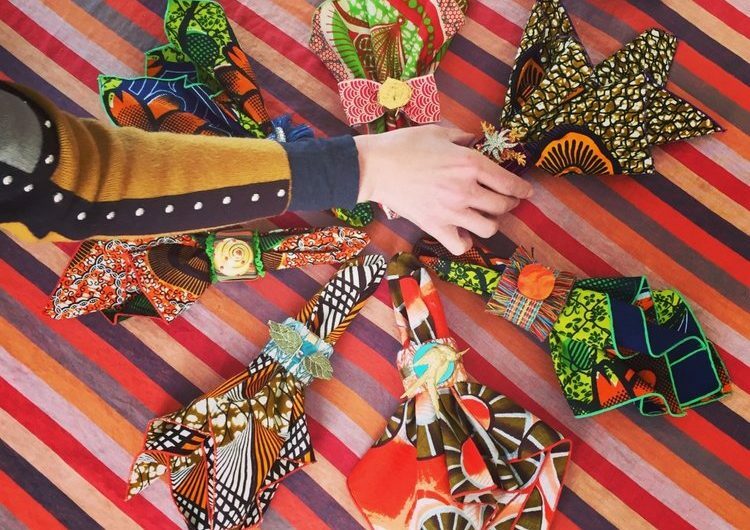 I have my friend, textile designer Katie Matushak to thank for gifting them to me from Juditha Sakinosfsy Design. Phipps family togetherness at Mary’s aka “Gaga’s House” Lang, Sally and our clan sharing cooking, crafting and a holiday meal at an embellished table. 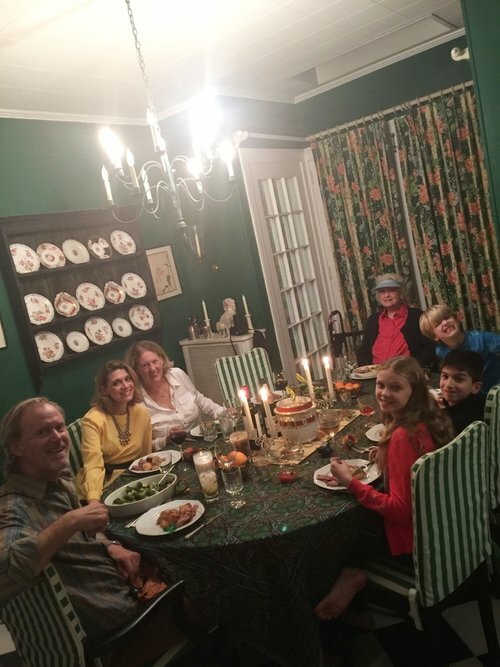 I hope your holidays are filled with family togetherness, good food and friends, beautiful tables and SHARED CREATIVITY! 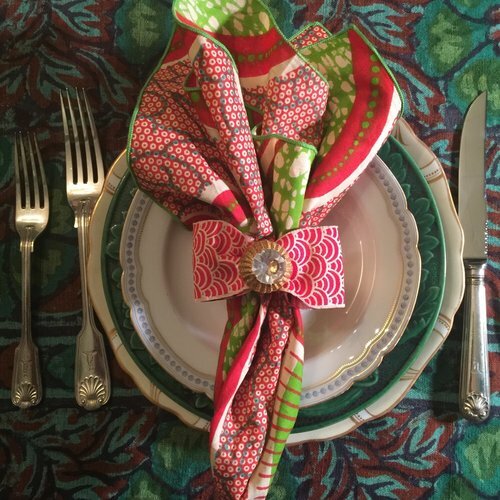 If you embellish your table, please share! Just tag #TrimAlchemy or #TrimQueen. Blessings! 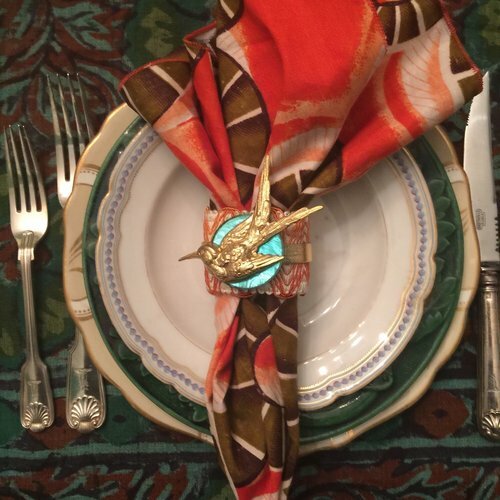 Ana, the kids and I had SO MUCH FUN creating this #tablescape scouring the house for materials of patternplay and bling.